Samsung Tool Pro 24.3 full cracked 1000% working. Loader always open Run as administrotar.. It worked for me too. I just want to say thank you @Adam N.
Nice, I just installed it and it worked perfectly. I spent almost two hours to find any working. Thank you a lot. Thank you Adam for this. Thanks mate, I just tested it and it works. Thank you! Thank you a lot Adam. Thanks buddy you helped me a lot. Thank you for sharing it here Adam. Thank you @Adam N. I downloaded and installed it. It worked like a charm. Nice Adam. Thanks for sharing it with us. Thanks a lot mate. It went well. Nice one. Thank you my friend. Thanks buddy! You just made my day. Card not found shows ,what to do? I need to fix a Samsung S7 edge ("DRK fix"). Do you have the Samsung Tool Pro V26.2? the licwnse file has been locked to a different machine??? Showing this phone is not supported for Auto Root..
What is next.. Please advise. This file is no longer available because of a claim by Webzilla. 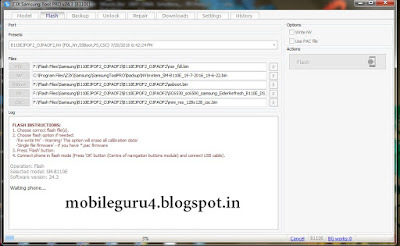 do not download [Loader with keygen].how to download [Loader with keygen] plz tel me any idea... sir? same problem bro rajendra. i cant download loader with keygen. please help us somebody..
please send me crack file on my email id Zishan045@gmail.com please i m waiting for you. I already generate code, but i can't open the loader, its shown regeneration code task, what i can do now.. plz help me with the right solution. Only the owner is allowed to download infected files. why? and how? Sorry, this file is infected with a virus. Please reupload admin. Thank you.. The "Gadget Haat" site mainly discusses the latest technology gadgets price and information. I hope you can find many theories from this site. We have been discussing Mobile, Computer, Laptop / Netbooks and Softwares here. We provide the right price and information of each product here. hakan lah ku sia heg sambelan ameh lada campuran tai ucing ameh rada hasem..